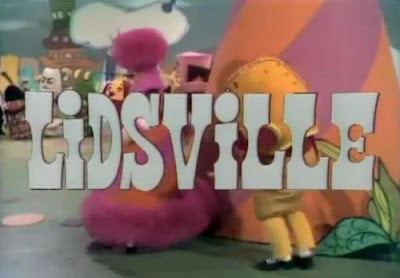 This week, I begin reviews of another Sid and Marty Krofft Saturday morning series of the 1970s: Lidsville (1971-1973). As you may recall, the series is live-action in nature, and all seventeen episodes aired on ABC. That’s just one season, though reruns also aired on ABC in 1972-1973. The series was something of a pop culture phenomenon, at least for a while, and much vintage merchandise (lunch boxes, board games, Halloween costumes, etc.) from the series was produced. Very much like H.R. 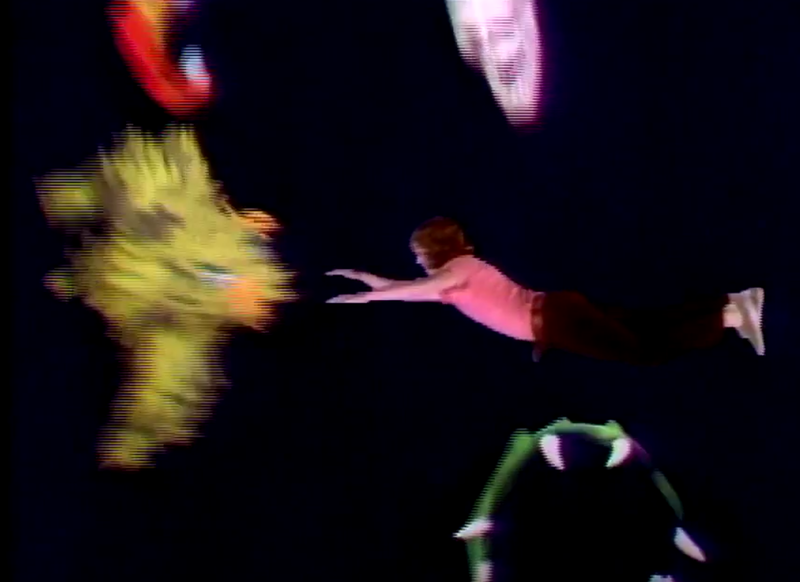 Pufnstuf (1969), Lidsville is a trippy -- meaning apparently drug-fueled -- series about a young man stranded in a fantasy world and attempting to return home. In this case, however, the fantasy land of Lidsville is a world of living, talking hats. Butch Patrick stars as the displaced teen, Mark, and the first episode “World in a Hat,” begins his bizarre and colorful odyssey. After watching Merlo the Magician (Charles Nelson Reilly) at Six Flags Amusement Park in Texas, Mark tries to learn his secret by sneaking backstage. When he gazes into Merlo’s hat -- which has grown to gargantuan proportions -- Mark falls inside. He tumbles through a vortex and emerges in a strange world of colorful characters and bizarre landscapes. First, Mark is captured by the malevolent but incompetent tyrant Hoo Doo (Charles Nelson Reilly), who believes him to be a spy. 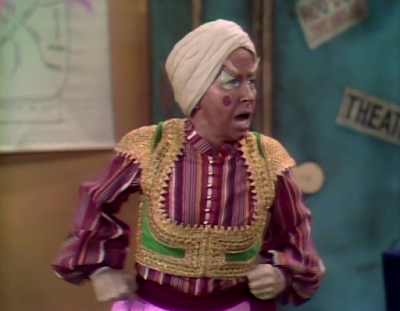 Fortunately, Mark also encounters a friendly genie, named Weenie (Billie Hayes) who claims she may be able to send him home. Together they escape Hoo Doo’s grasp, but face the challenges of the Shampoo River. Fortunately, the hat denizens of Lidsville rescue the Mark and Weenie, and give them haven from the evil Hoo Doo. “World in a Hat” establishes the premise of Lidsville well. First we meet Mark, and are told he hails from Jackson City. He notes that he just wants to get home to his friends and family. This means the longer that he is stuck in this bizarre world, the longer he is separated from those he loves. His quest, like Dorothy’s in The Wizard of Oz, is to return to the world where belongs. We also meet here Mark’s allies, namely the goofy Weenie, and the people of Lidsville…who are hats. We meet here, for instance, Mother Wheels (a motorcycle helmet) who drives Weenie and Mark through The Hair Forest. Some of the hat characters are voiced in the style of famous characters or actors. One hat talks with a John Wayne-styled voice, another exactly like Charlie Chan. Finally, we encounter the villains of the series, Hoo-Doo and his posse of incompetent, bungling minions. 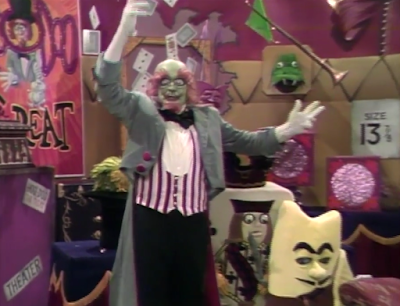 Among them is Raunchy Rabbit, Jack of Clubs…a deck of cards, and Mr. Big, a gangster whose body is actually a fedora. His base is a top hat, and inside it is a miniature band that plays at inopportune moments. If this all sounds weird or surreal, well, it certainly is. The whole episode is weirdly frenetic and impressionistic, with an oppressive laugh track blanketing the half-hour, and removing any real opportunity to assess if the show is actually funny, or just strange. 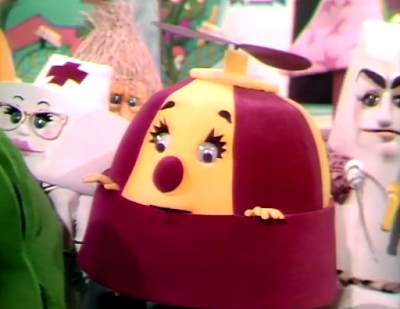 Although The Bugaloos (1970) falls between H.R. 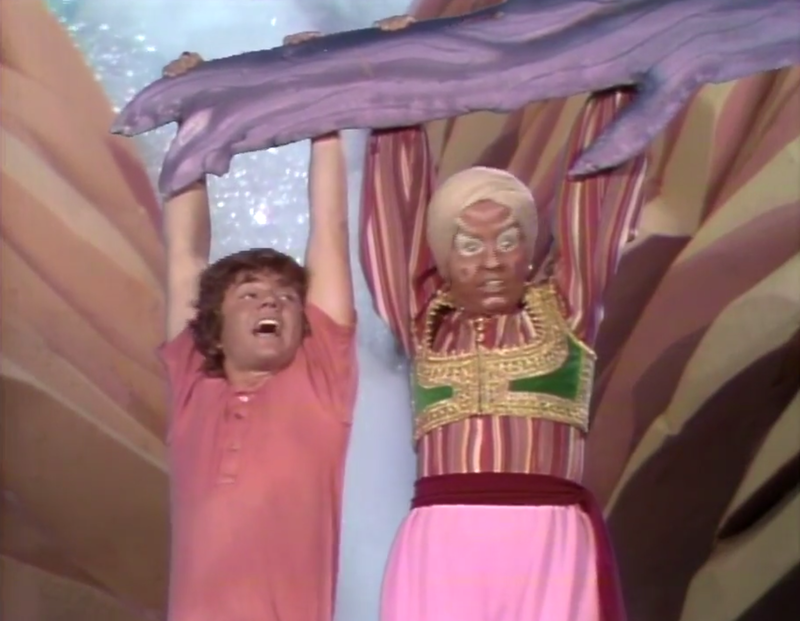 PufnStuf and Lidsville, this series nonetheless feels like a sideways remake of earlier Krofft series. A boy gets lost in a fantasy world, makes an enemy who can use magic, and befriends lots of weird characters, who are given life in elaborate and bizarre costumes. The “hat” angle is really the only new wrinkle. Then again, this show does feature Charles Nelson Reilly, which automatically lands Lidsville in new territory, if you ask me. Strangely enough I never saw Lidsville. It was never part of the Syndicated package I grew up with. Lidsville's Billie Hayes also played Witchiepoo on H.R. PufnStuf. 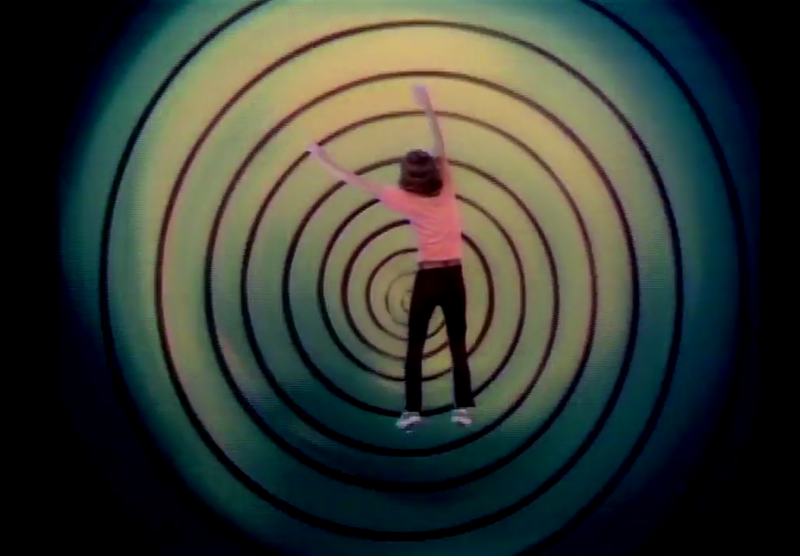 The '70s Saturday morning was a wild ride to be a kid back then.